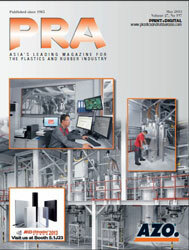 Against the backdrop of challenging economic conditions, an estimated 218,000 trade visitors came to the world’s largest plastics show, K2013, which was held from 16-23 October in Düsseldorf, Germany, compared to the 222,486 during the previous event in 2010. The organiser of the triennial-held plastics show, Messe Düsseldorf, says that the show has upped its international appeal with 58%, i.e. 126,000 trade visitors, coming from abroad. Asians made up 30,000 visitors and accounted for the largest group of foreigners to the show. Most were from South, East and Central Asia, with the Indian contingent once again forming the largest group while the number of trade visitors from China, Indonesia, Iran, Japan and Taiwan rose considerably. Just under half of all foreign visitors came from overseas, from countries like Angola, Burkina Faso, the Falkland Islands, the Yemen, Malawi, Nepal, New Caledonia, Oman, Peru and Turkmenistan. Also posting a significant plus was the proportion of visitors from North America: some 8,100 visitors were registered from the US and Canada – 1,300 more than at K2010. Some 11,000 visitors came from Latin America, which is about as many as the figure three years ago. Forming the largest contingent were the Brazilians, Mexicans, Argentinians and Colombians. Another gratifying increase was also noted in the number of visitors from South Africa with some 2,000 hailing from there. Meanwhile, Ulrich Reifenhäuser, Chairman of the VDMA Plastics and Rubber Machinery Association, said that demand from China, Southeast Asia and the US was extremely positive. According to him, an unexpected number of specific projects were discussed and some prepared deals signed during the K fair. The sector – says Reifenhäuser – is now looking to 2014 with optimism. Again, machinery and plant construction, the largest exhibiting sector at K2013 with some 1,900 exhibitors, was also the focus of visitor interest. 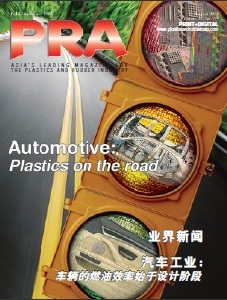 For 42% of trade visitors the presentations of raw and ancillary material producers were of prime interest while 22% mainly directed their attention to semi-finished goods and technical components made of rubber and plastic (multiple responses possible). Visitors came from all key user sectors – from the building industry and vehicle construction, packaging as well as electrical and medical engineering through to agriculture.